With more than 50,000 restaurants on OpenTable around the world, we’ve got the right restaurant for anything — including your next trip to Dubai. 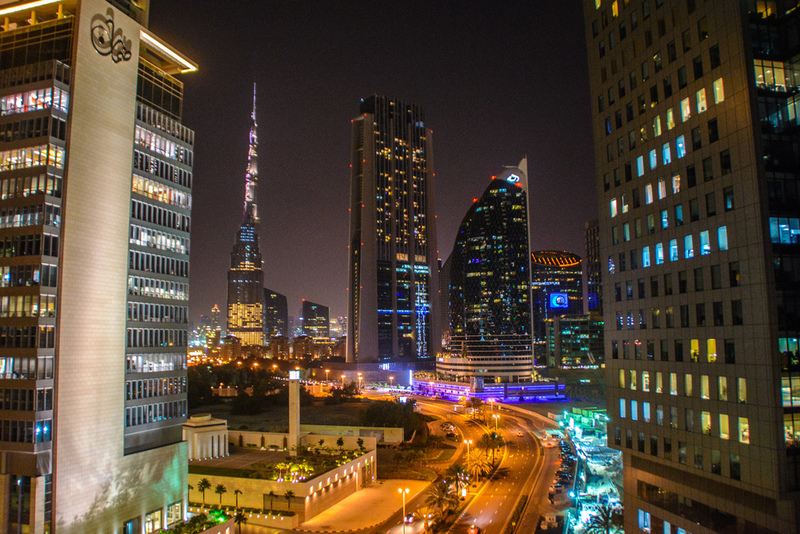 The business hub of the Middle East continues to attract world attention with its larger-than-life construction projects, such as the world’s tallest building Burj Khalifa, its huge shopping malls, and fantastic beaches. Of course, the city’s dining scene does not disappoint either. 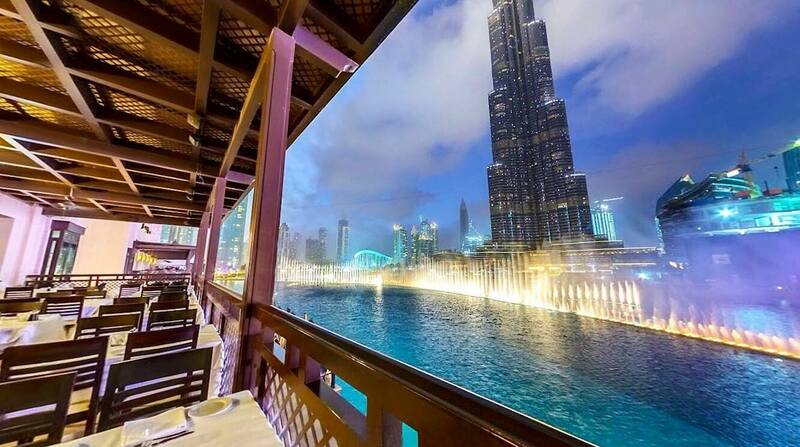 Whatever brings you to this dazzling destination – whether it’s business or pleasure – these Dubai restaurants with a view are not to be missed. Not headed to Dubai? Not a problem. OpenTable has you covered with a restaurant near you. The Dubai Marina is always worth a visit if you’re after one of the most stunning harbor views you’ve ever seen. Set in elegant surroundings, Accents combines international flavors with traditional cooking methods to create memorable dishes. We recommend dining outdoors on the terrace to make the most of the scenery. Make a reservation at Accents Restaurant & Terrace. BiCE Mare was crowned the ‘Best Seafood Restaurant’ at the 2013 BBC Good Food Awards and it’s easy to see why. 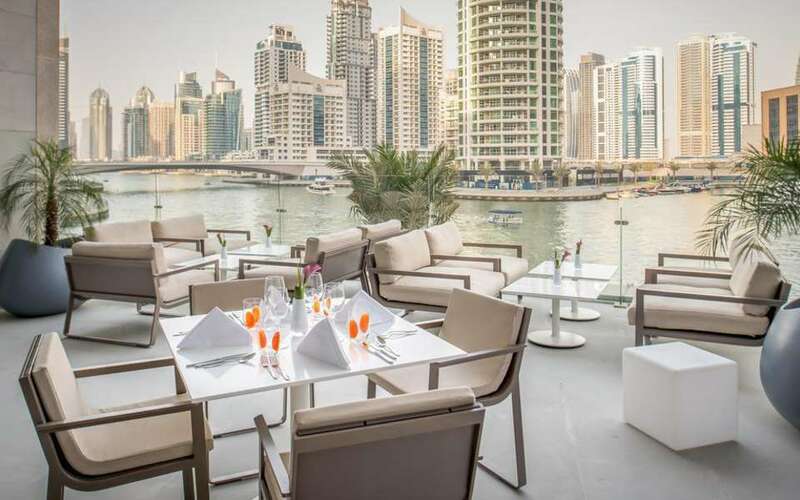 Not only does the restaurant provide mouth-wateringly fresh seafood, but it also offers fantastic views of The Dubai Fountain and Burj Khalifa. Situated within Souk Al Bahar, BiCE Mare is also known for being the go-to-place for Dubai’s elite and celebs. So if you fancy indulging in some people-watching while you enjoy grilled lobster or seafood risotto, this is the place for you. Make a reservation at BiCE Mare. 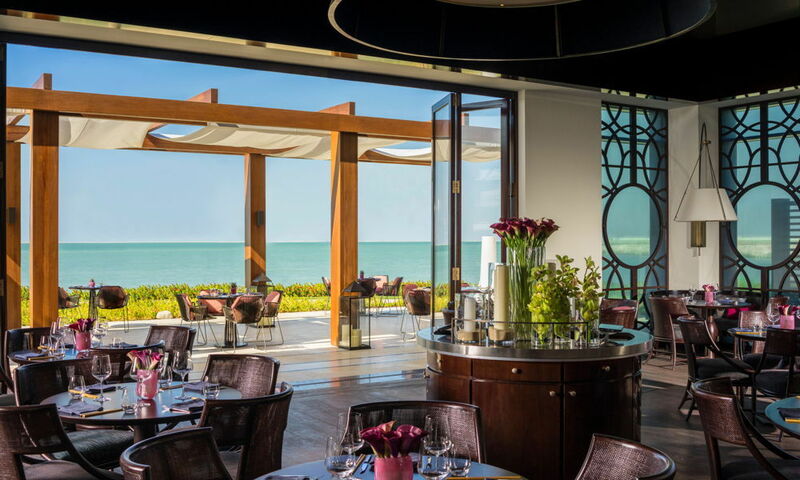 Beach bunnies, listen up: Sea Fu is located right on a private stretch of Jumeirah Beach and charms guests with its luxurious yet relaxed atmosphere and outstanding food. Here, you can indulge in Asian seafood and even watch dishes being cooked to order at the wok station. Tables out on the terrace offer wonderful views of the Arabian Gulf, while live DJs set the mood – it’s an absolute must-visit. Make a reservation at Sea Fu. Fancy dining on the water? Then look no further than the elegant Bateaux Dubai. It’s more than just a cruise – Bateaux Dubai offers gourmet cuisine and takes you on a four-course culinary journey paired with live entertainment and panoramic vistas of the city’s iconic skyline. Make a reservation at Bateaux Dubai. This rooftop bar is simply stunning, with its black and gold color palette and a back bar featuring rotating cage-like liquor displays. But it’s not only the interior that impresses guests – the huge windows (and outdoor terrace) offer breathtaking views of the Burj Khalifa and beyond. It’s the perfect place to enjoy creative cocktails and pan-Asian bar snacks like spicy tuna maki rolls and truffle chicken dumplings. Make a reservation at Luna Sky Bar. If you need to break away from the daily hustle and bustle, then book yourself a table at 101 Dining Lounge. Accessible only by a long pier or a private boat straight to its dock, you’ll feel like you’re on a tropical escape. Enjoy the sweeping views across the water and the city skyline enjoying tapas, fresh salads, and seafood from the Mediterranean menu. On the weekend, the resident DJ entertains guests with chill beats. Make a reservation at 101 Dining Lounge and Marina. There are more than 50,000 restaurants on OpenTable worldwide – including in Berlin. And, thanks to its position as one of Europe’s most affordable capitals, you should have some extra cash to spend dining out when you’re in town. From traditional locally sourced German cuisine to flavors evoking the international fusion of cultures and Michelin-starred hot spots, breakfast, lunch, and dinner offer a smorgasbord of options. Whether you’re passing through on a business trip or taking a family vacation to this bustling city, here are the top Berlin restaurants you need to try now. Need help getting to Berlin? Search hundreds of travel sites at once on KAYAK.com. Not headed there? OpenTable has got you covered with the right restaurant near you. A century ago, no one would have dreamed that the thermal power station for the town baths would become a haven for haute cuisine, but today Oderberger has been converted into a soaring tri-level, light-filled space buzzing with options to taste regional cuisine with German wines. Brunch is especially fun, with an abundant spread of fresh pastries and juices—and the opportunity to watch passersby from the sunny patio for hours in the hip Prenzlauer Berg neighborhood. Make a reservation at Oderberger. Hard to find but easy to love, Cookies Crème takes vegetarian dining to a whole new level (and was awarded a Michelin star for doing so). The tucked-away industrial space offers up a heaping helping of cool, and three- and four-course menus mean no one leaves hungry. Mix and match the number of courses from the starters, mains, and desserts, including indulgent quail egg in brioche with truffle jus; vegetarian “caviar” with avocado; parmesan dumplings with truffle stock; and, of course, a chocolate cookie with cassis and pistachio. Make a reservation at Cookies Crème. Pull up a lambswool-covered chair around a horseshoe dining table and host-sommelier Billy Wagner and team will give you three hours of the ultimate locavore’s dream—all 11 seasonal courses. 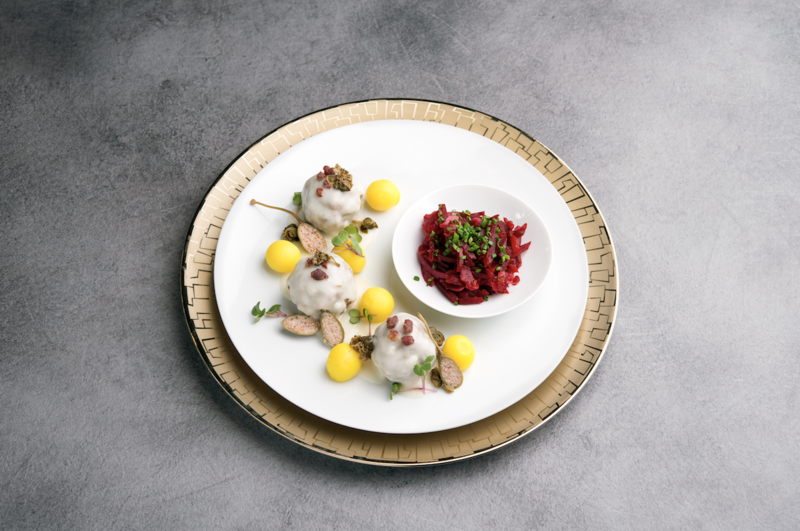 Watch as Michelin-starred chef Micha Schäfer and team prepare (pictured, top) dishes using Berlin-area-only products, right down to using only local spices (no pepper, lemon, chocolate, tuna, curry). 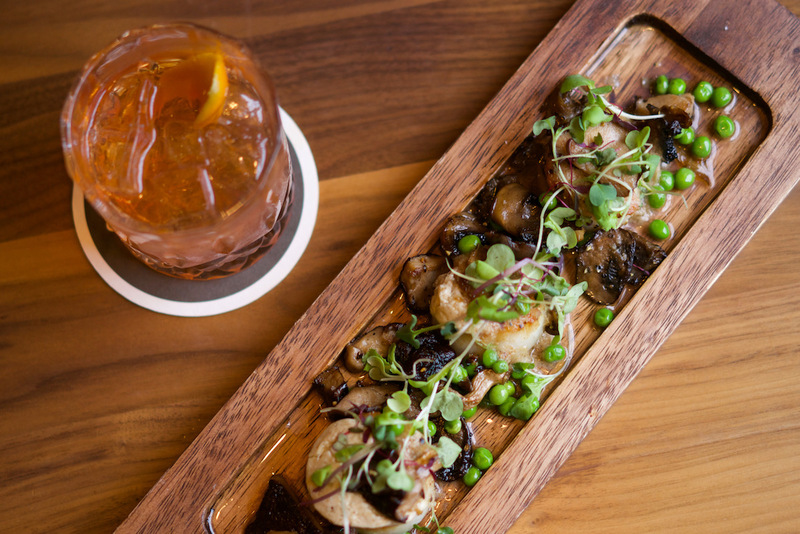 The flavors of kale, radish, potato, apple, and more dance, expertly paired with housemade non-alcoholic beverages or European wines and beers. Make a reservation at Nobelhart & Schmutzig. 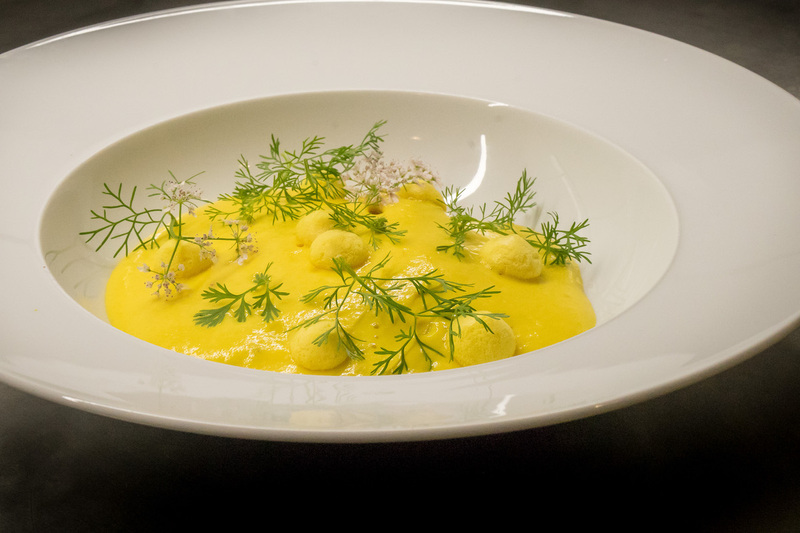 Anyone visiting Berlin would be remiss to miss out on native son and Michelin-starred “Chef’s Table” favorite Tim Raue. There are plenty of options to choose from but one of the ones that won’t break the bank is, much like Berlin’s population, a study in fusion. Casual Sra Bua (“lotus blossom” in Thai) puts an Asian spin on Raue’s signature flavors – and enjoys one of the best locations in town, just steps away from Brandenburg Gate. Traditional veal neck meets modern with tamari gravy and shiso, and beef dim sum is served alongside beets and morels, with convenient half-portions; there are also family-style and bar menus. Make a reservation at Sra Bua. “Small plates” isn’t really a big thing in most parts of Germany, but they promise big flavors at Bricole Bar. The bohemian neighborhood of Prenzlauer Berg welcomes different styles, flavors, and colors, all of which can be found on perfectly portioned seasonal plates that change every two weeks or so, like steak tartare with shaved Brussels, and crispy pork belly. Though the intimate atmosphere and menu skews French bistro, the wine list is extensive and international. Make a reservation at Bricole Bar. No matter what the daily catch is, it’s mouthwateringly tempting thanks to a pan-fry in hazelnut butter. While the focus at Le Petit Royal is fresh fish, it’s also a bit of eye candy. Just like sister restaurant Grill Royal, the smaller sibling in Charlottenburg has all the allure of Brigitte Bardot and Marion Cotillard thanks to a French-classics menu and list of celebs who like flock to just 50 seats to admire a large collection of contemporary art. Make a reservation at La Petit Royal. For most travelers, where you eat on vacation is almost as important as where you go or stay. But figuring out the right restaurant for you can be tricky (especially if you’re traveling in a group where everyone has #opinions). 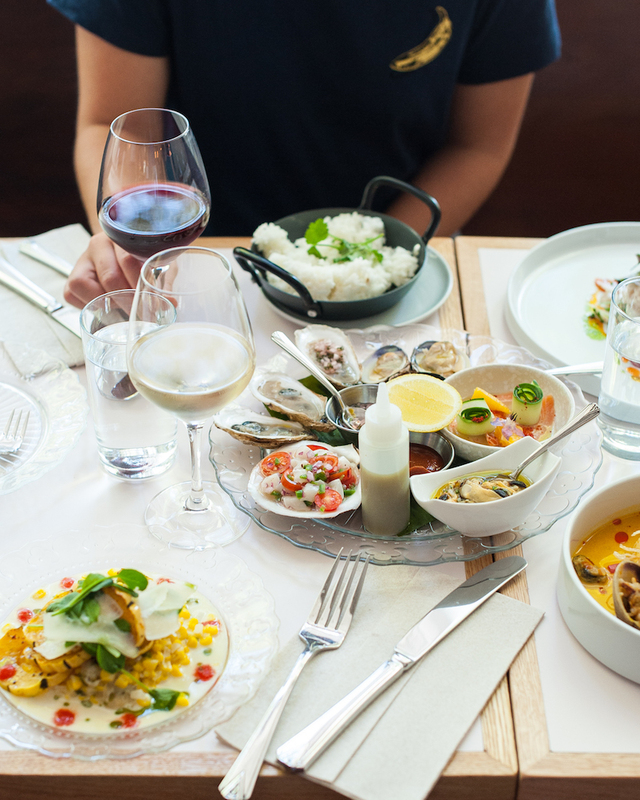 Luckily, OpenTable has teamed up with KAYAK to help you find and book the perfect restaurant, no matter the occasion and no matter which top destination you’re in. 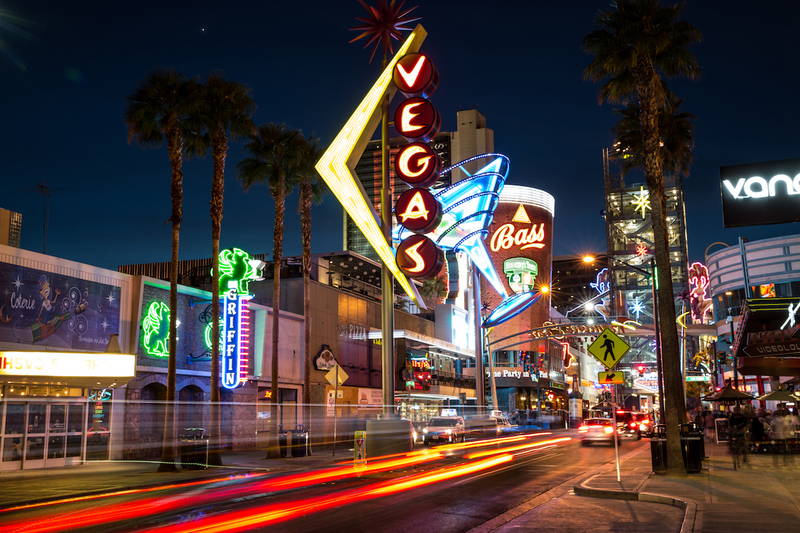 We’ve identified some of diners’ top-rated restaurants for the 10 most popular destinations. By crunching the numbers on over 1.5 billion annual KAYAK searches, we’ve uncovered the year’s top travel trends, from popular destinations to wallet-friendly trips. And if you needed one more reason to make your restaurant reservations while planning your getaway, thanks to our new program, you can now use OpenTable’s Dining Points toward hotel discounts on KAYAK. Win-win-win. See where to eat in 2019’s most popular destinations, according to OpenTable diners. 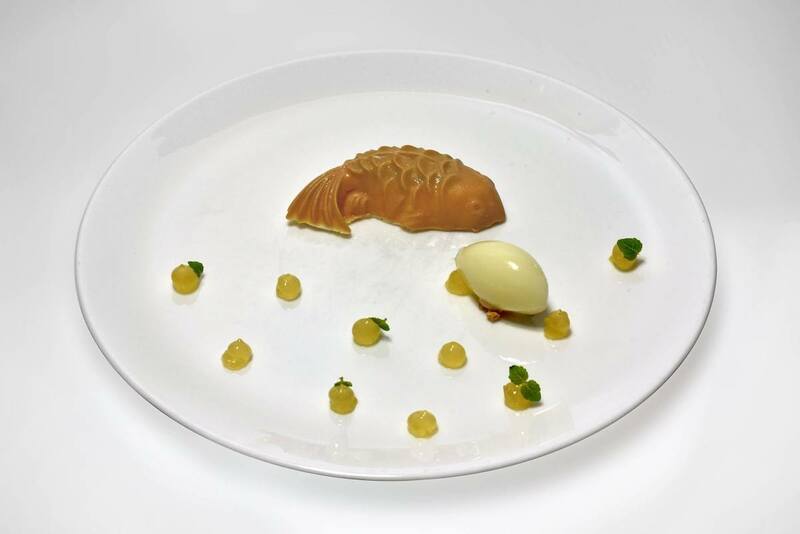 Joel Robuchon-MGM Grand is a 3-Michelin-star-rated restaurant and an icon. This late, great decorated chef’s first U.S. restaurant offers a menu full of inventive dishes. 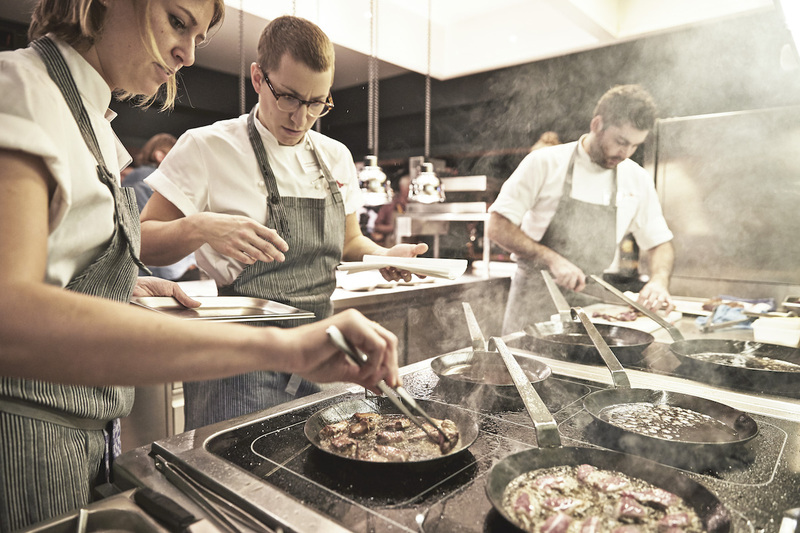 The Menu Degustation (tasting menu) is the most popular pick, giving you a survey of the kitchen’s talents. Just be prepared to shell out nearly $500 per person on it. Remember: you go here for the experience. Partage is where you go for a show, just not one that’s on a stage. 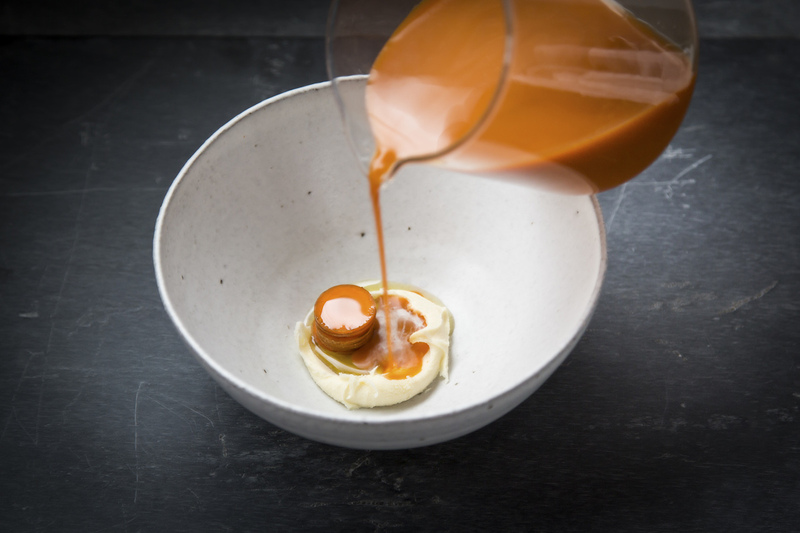 This French-inspired restaurant is committed to using only top-quality ingredients, creating dishes that look like contemporary art. 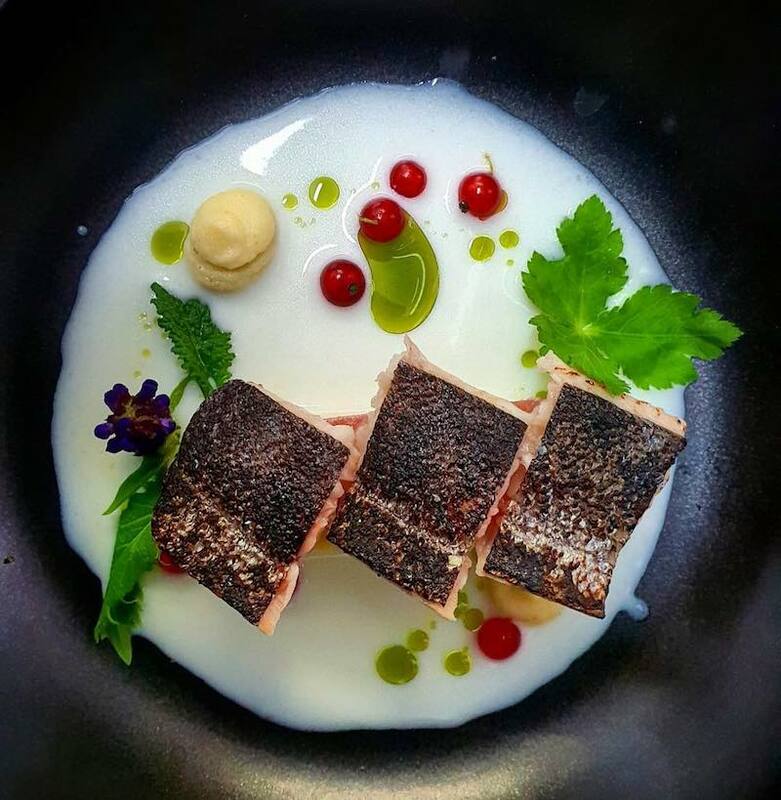 Try their halibut served with dragon fruit and ceviche or the veal with sweetbreads and lotus roots. Andrea’s at the Wynn Casino is where to head for an exciting, stimulating culinary experience. The restaurant’s Asian-inspired menu is full of shareable options that make this the perfect group experience. For the perfect end to your night, order the Flaming Mr. Fuji dessert, which consists of Devil’s Food cake with caramel, coffee rum mousse, and toasted marshmallows, set ablaze. Yopparai is an intimate Japanese bar and restaurant whose main culinary focus is sake. They serve fresh sashimi, traditional dishes and more because of how they compliment the restaurant’s sake offerings. This intimate space — there are only 30 seats — allows for Yopparai’s sommeliers to tailor each diner’s experience based on their order. Tempura Matsui is a Michelin-starred establishment dedicated to the art of tempura. The space itself is designed to emulate a Japanese cottage and guests can elect to have a seat at the counter or tables. The real highlight of dining here is the preparation — guests can watch the chefs lightly fry fresh fish and vegetables before serving. While you’re bound to find a sushi restaurant on every block, nothing quite compares to Sushi Kaito. Here, the art of sushi is taken very, very seriously. And there’s virtually no menu. When you go, you have the option of choosing between two omakase (meaning “I’ll leave it up to you”) courses — either a 12- or 16-piece course. 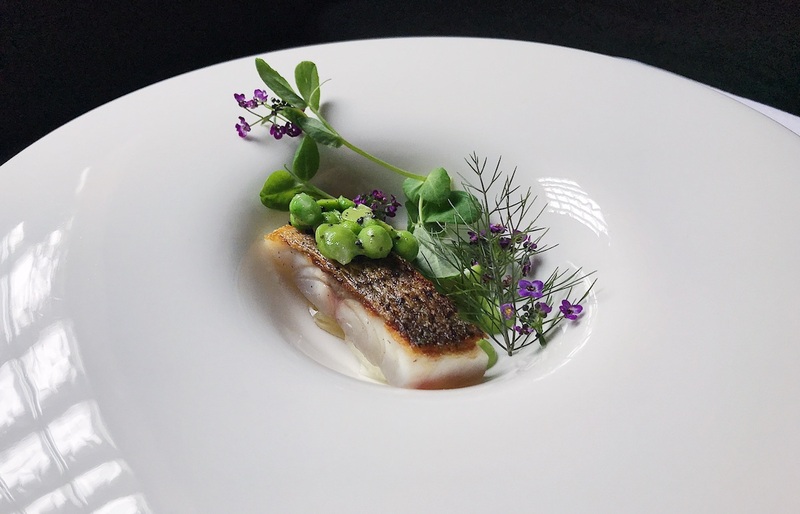 The restaurant has a daily rotation of seasonal fish, so what they offer may change every day. And while they’re willing to make some accommodations, there are no options for vegan, vegetarian, or gluten-free diners. Manpuku Tokyo BBQ is the Japanese barbecue chain you didn’t know was missing from your life. Originating 60 years ago in Tokyo, this LA outpost continues to delight diners with an array of salted meats and dishes prepared at your table, yaniuku-style. And, based on customer reviews alone, you’re bound to leave “happy with a full stomach,” as the restaurant’s name indicates. If you’re down for some old-school Hollywood glamour, Vincenti Ristorante is one of those iconic Italian restaurants that looks like a movie set. 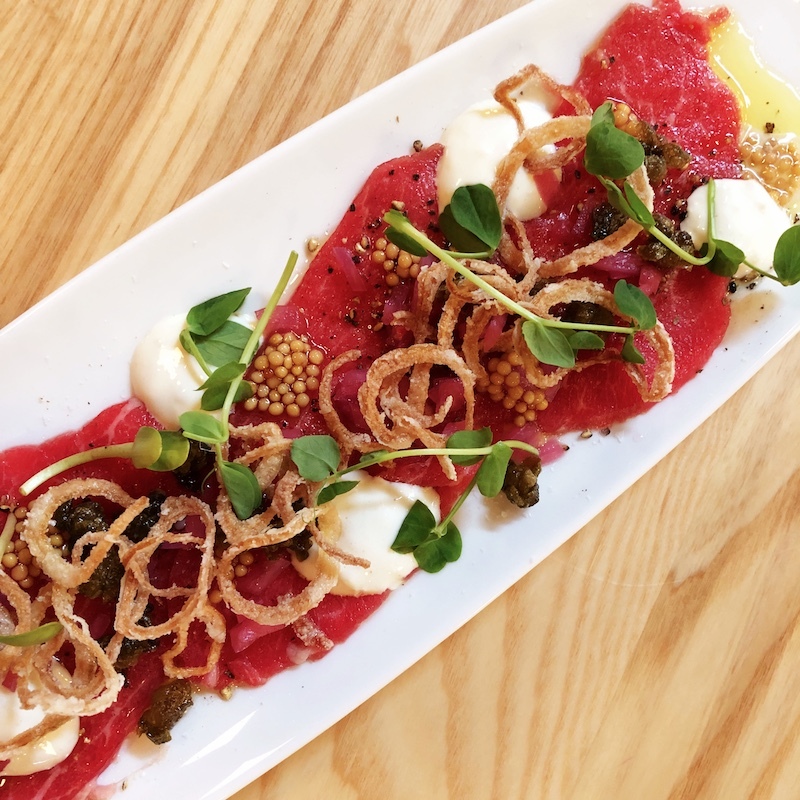 Elegant and sophisticated, the chef takes a seasonal approach, frequently rotating menu items from house-made pasta to secondi plates. 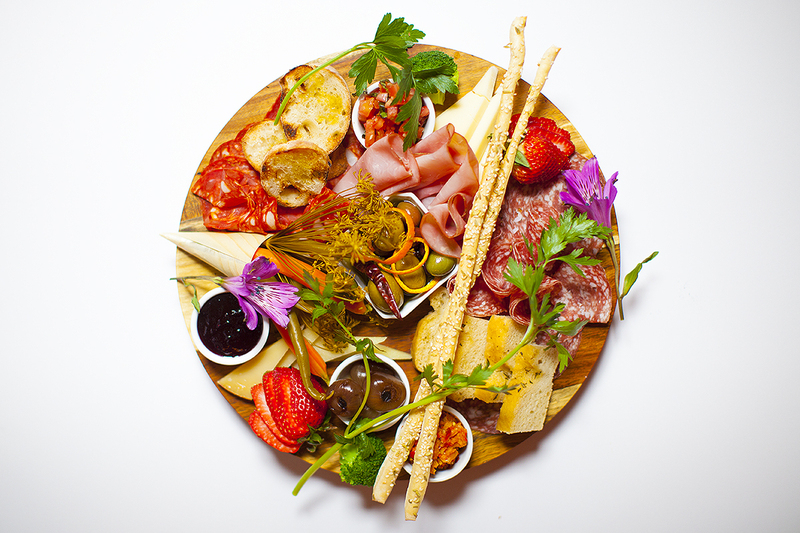 Service here is a standout and provides an atmosphere perfect for an intimate evening or group dinner. 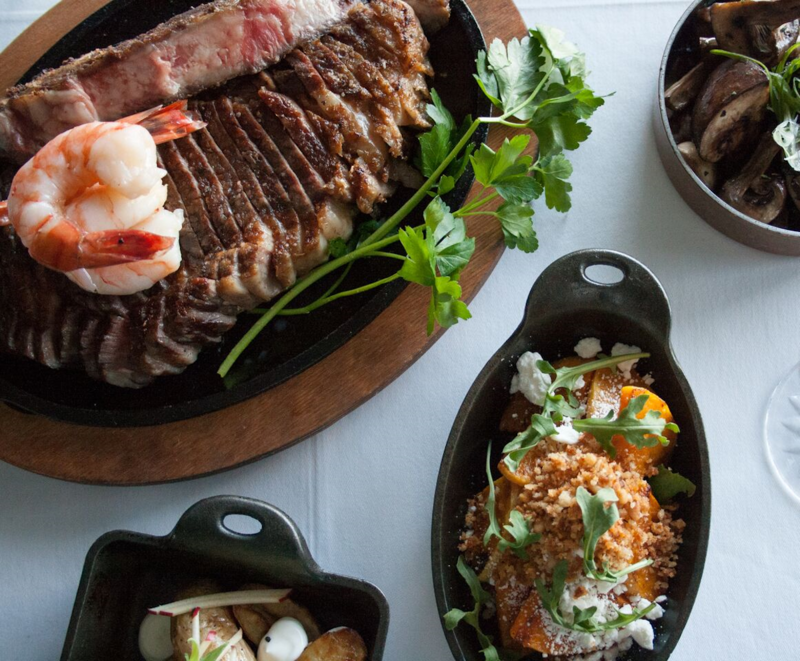 Carlitos Gardel Argentine Steakhouse is a Melrose Ave institution that has served the community for over 20 years. OpenTable diners love that, even after so many years, the quality of food and service remains consistent. Start your meal off with some Hongos Rellenos (chicken-stuffed mushrooms with a cabernet reduction) and pair your choice of meat with a side of garlic fries (you won’t be disappointed). Norman’s at the Ritz-Carlton Orlando serves up what it calls “New World cuisine.” By combining the flavors of the Caribbean, Latin America, and Asia, the fusion of cultures comes out in highly inventive dishes like the Yuzu Mojo Organic Roasted Chicken with Pad Thai noodles. 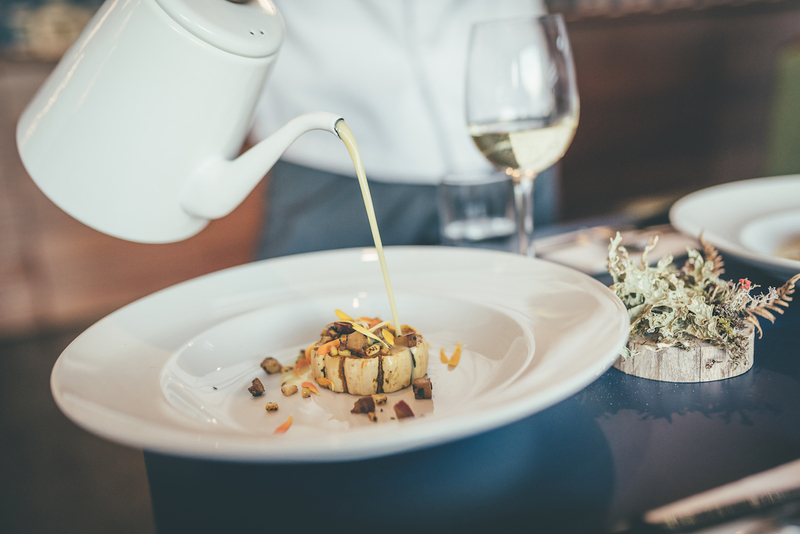 If you’re not sure where to get started, however, the seasonal tasting menu gives a great review of the restaurant’s top dishes. New York City style comes to Florida at Bull & Bear. Located in the Waldorf Astoria, this restaurant is an outpost of the famous NYC steakhouse. Expect traditional menu items — like different cuts of meat and Caesar salad — alongside a rotation of specials Go here for a special occasion, date night, celebration or to impress a potential client. After a day spent at the water park, talk to your hotel concierge about babysitting services and book a date night at Christner’s Prime Steak and Lobster. Order up some lobster bisque and a prime cut and be instantly transported to a time and place where you didn’t just spend 2 hours waiting in line for a water slide. 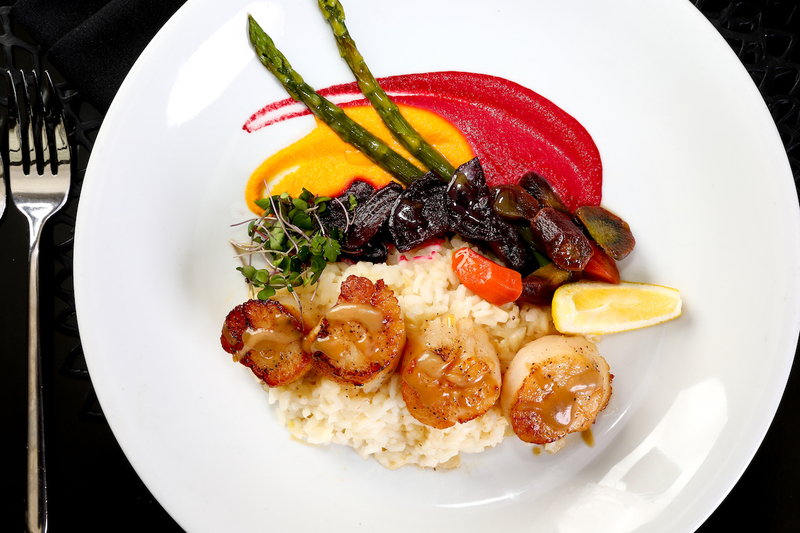 Since 1978, Les Nomades has been a Chicago gold standard. 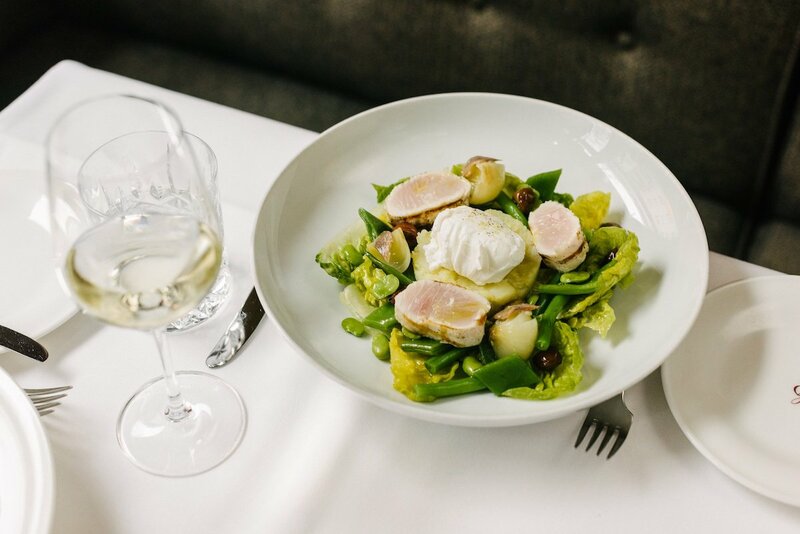 Serving French-style cuisine, its impressive wine list and attention to service have made the restaurant a timeless piece in an ever-changing food scene. Order the escargots (served with yellow tomato coulis and Roquefort cheese) or the roasted duck breast and confit duck leg (served with Savoy cabbage, parsnip, and sauce Rouennaise). If you’re looking for a meal that bucks tradition, then goosefoot is your place. With just 30 tables, one server, hostess and chef, this intimate space is where you go to have an experience. Each seating is for a multi-course tasting menu ($145) that will take about 3 hours to complete. The restaurant is BYOB (no corkage fee), but they conveniently own a wine store immediately next door. You can even call ahead and request a bottle, which they’ll have ready for your reservation. Hidden down an alley-like street in the West Loop, the 2-Michelin starred Oriole (pictured below) is no secret. The space seats 28 and diners pay $215 to be treated to an evening of expertly crafted dishes that highlight the best the season has to offer. Each menu item is carefully curated, from Malpeque oysters with smoked finger lime to jamon mangalica with egg yolk and quince. And while you can’t eat this way every night on vacation, Oriole offers the perfect place for that supremely special occasion.